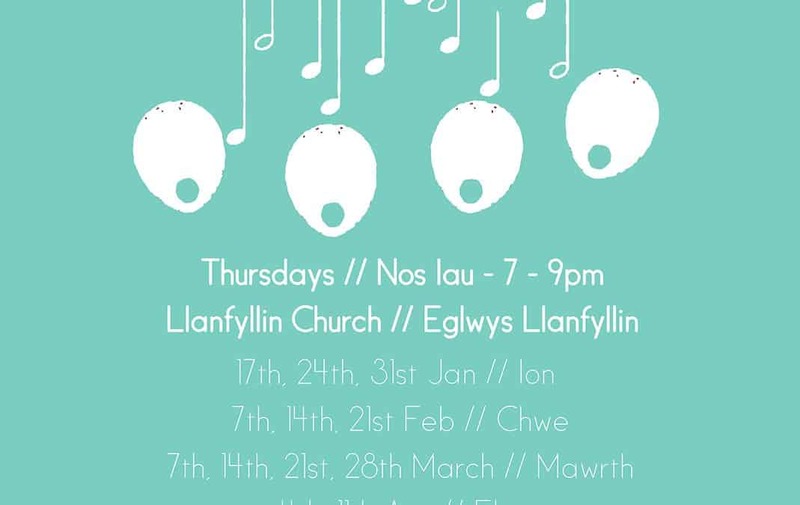 Llanfyllin Sings is led by Cathy Beech and managed by Arts Connection – Cyswllt Celf. Each session starts with an hour of vocal warm and singing, followed by a break, followed by learning a song with more in-depth harmonies. The sessions are fun and informal and about getting together for a good old sing song. Everyone is welcome and no experience needed. We’ll be singing songs like Africa and Make You Feel My Love and welcome suggestions from those who attend.